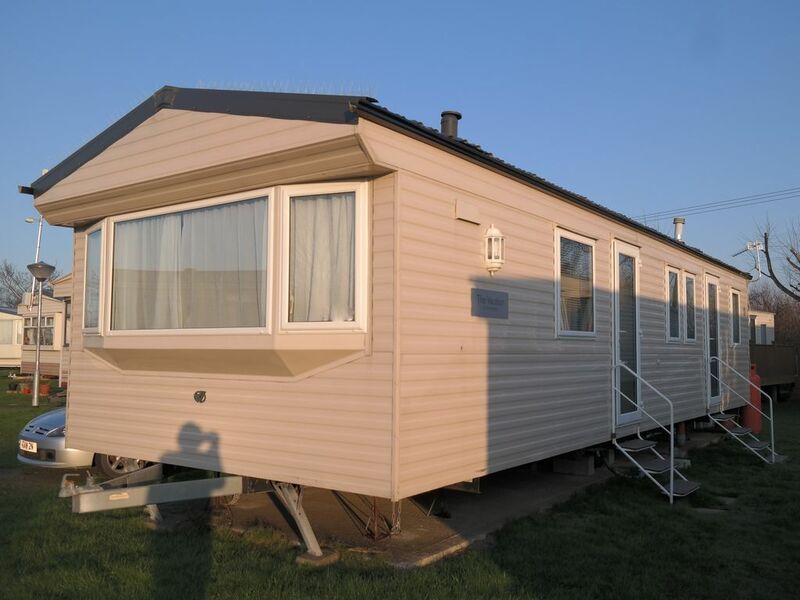 36 x 12 Very comfortable/very clean 3 bedroom static caravan. Gas fire in the front room, warm air heating through all 3 bedrooms, separate shower and toilet. Ample seating within the living area. Double glazed. 40 inch TV. Carpeted lounge area and bedrooms. Fully equipped kitchen including microwave. Bedrooms consist of 1 double, 1 small double and 2 single beds. All bed linen provided along with towels and shower gel. As an added bonus we provide free site passes for all our guests during their stay. A clean and tidy static with nice layout and all the items you need for a short or long stay. Site is nice and quite and also tidy and clean. Shame they don't do recycling bins. Kan, the owner, was very welcoming and explained everything we needed to know about the caravan. It was fine for a weekend stay but we would have found it difficult to spend a week there at this time of year given the cold, windy and wet weather we had over the weekend. An ideal location for a visit to the Romney, Hythe and Dymchurch railway, which was the main purpose of the visit with our 2 young grandsons. Had very enjoyable stay in this very comfy caravan. So nice to have net curtains all round, so many holiday caravans don't and also the sofas, although fitted were more comfortable than usual. We had our dog with us and Kan made us all welcome and was very helpful. A nice break. A very nice caravan in a lovely quiet park down by the beautiful south coast. Camber Sands are only 15 mins away by car. The owner, Kan, was very helpful and was happy to be contacted should we need help with anything. It was a real treat to arrive and find the beds made up and have towels too. A super place for a great break away.